The impossible has come to pass: the Japanese automaker that had resisted making electric vehicles for so long and had pushed back its diesel engines’ arrival in the US for various reasons has now revealed that it will, in fact, be bringing both an electric vehicle and diesel engines to the US, the former in 2019 and the latter next year. Let’s start with the diesel engines. 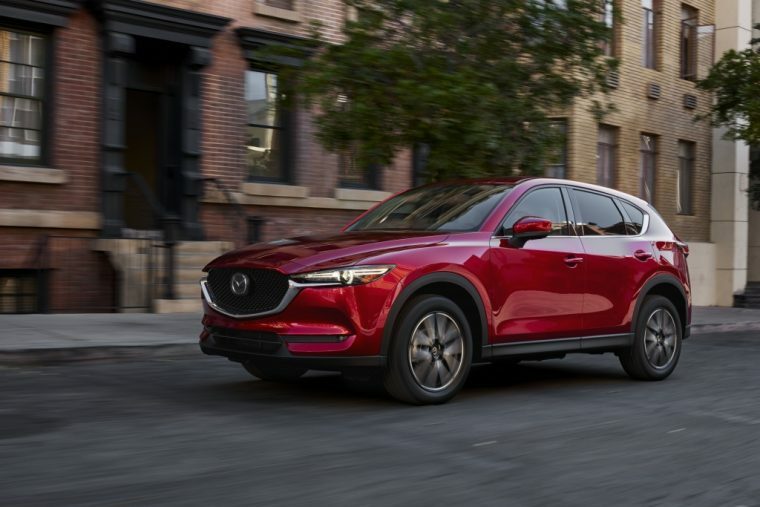 The company has confirmed that, after the new CX-5 has been in showrooms, in the second half of 2017 it will offer the SUV with the brand’s 2.2-liter diesel engine, as a method of testing the market to see if offering more diesels would be a good idea (previously, rumors had said that the automaker would give the diesel engines to the CX-5 and the Mazda6). This engine would help somewhat with meeting CAFE standards, since diesel engines tend to have high efficiency numbers. Now, for the electric. In a number of comments at the LA Auto Show, Mazda officials (including North American Operations CEO Masamichi Kogai) said that the brand would be launching an electric car in 2019, with the possibility for a gas-engine range extender. This offering would satisfy ZEV regulations in states like California that would begin affecting Mazda in 2018, and would most likely come out of the collaboration Mazda created with Toyota last year. Overall, both of these powertrain options will help the automaker satisfy the strong regulations on fleet-wide fuel efficiency averages that would come into effect by 2025.